Trading the Dream....For the Adventure! Hey there! We're excited to share with you our adventure of adopting two little boys from China. We're the Henderson family and we live in the Pacific Northwest, where Brad pastors at our local church and Lisa tries to corral the chaos of our large family. 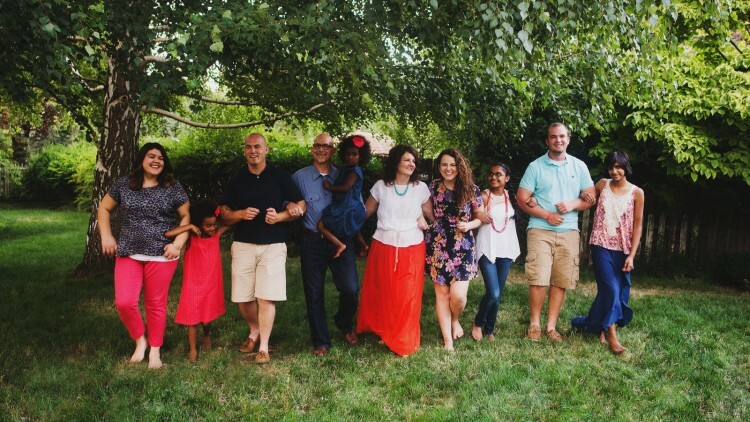 We've been blessed with eight children, including our kids who came to us the old-fashioned way, as well as children from Ethiopia and India who joined our family through adoption. We've chosen to trade-in the "American Dream" for the Grand Adventure of following Jesus Christ. Our latest assignment is the adoption of two children from China. We can't wait to share this journey with you and would love it if you would consider partnering with us. There are a few ways you could do this: 1) Would you pray with us and for us, that God would supply our needs, equip us to parent these children, prepare our family for this new assignment, and prepare our waiting children's hearts for the dramatic transition ahead, and protect them in the meantime? 2) Would you consider sharing our adventure financially? We've tried to be good stewards of the resources we've been given and have used our savings, tax refunds and inheritance over the last fourteen years to fund previous adoptions. At this point, we have the resources to care for two more children, but the necessary funds to complete the adoptions are out of our reach. Our first adoption cost approximately $10,000 in 2001, but currently, the adoption of two children from China will cost between $30,000 to $40,000. Without the help of people like you, we won't be able to adopt again, and the reality is that two children won't have forever homes. The funds raised on AdoptionBridge will be the initial $12,000 we need to begin. 3) Would you consider sharing our story and our AdoptionBridge link on Facebook, Instagram, or by email with friends and family who might like to join our adventure as well? Please check back frequently as we update this page, so that you can "meet" the children we're adopting and follow our journey over the next several months, until we're able to bring our children home. Thanks for partnering with us and making our family a part of your own adventure! Here's another fun way to learn more about our family and adoption...Check it out! Love you and so happy for you all and inspired by your dedication! God bless you guys! Praying for adoption success. You're a wonderful example for all of us. if I was not sooo old..I would adopt! God bless you Moms and Dads who fulfill God's plan to take of the children! oops - forgot the $13.00! God bless your family! We're praying for you! Praying for you! Hope you have a wonderful Christmas!